David Sloan is an accomplished advocate with more than 40 years of experience in civil litigation, with special emphasis in commercial and real estate litigation, including insolvency issues and partnership disputes. During his career, which includes 18 years managing his own boutique law firm, David has appeared before all levels of Courts in Ontario including the Supreme Court of Canada, the Court of Appeal for Ontario, the Divisional Court, the Federal Court (Appeal and Trial Divisions), and the Ontario Superior Court of Justice. 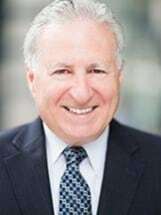 He has also appeared before numerous administrative tribunals on litigious issues, and has conducted trials in over 20 towns throughout the province. David was an Honours science graduate from the University of Toronto in 1968, graduating from Osgoode Hall Law School in 1971. He was called to the Ontario Bar in 1973. He was a lecturer at the Bar Admissions course for Civil Procedure for 10 years and has given a number of lectures to specialty groups.